First registered in August 1935, this vintage 3.5 litre Bentley Derby is owned by a friend who is a dentist. It has been beautifully restored and was photographed in 2014. 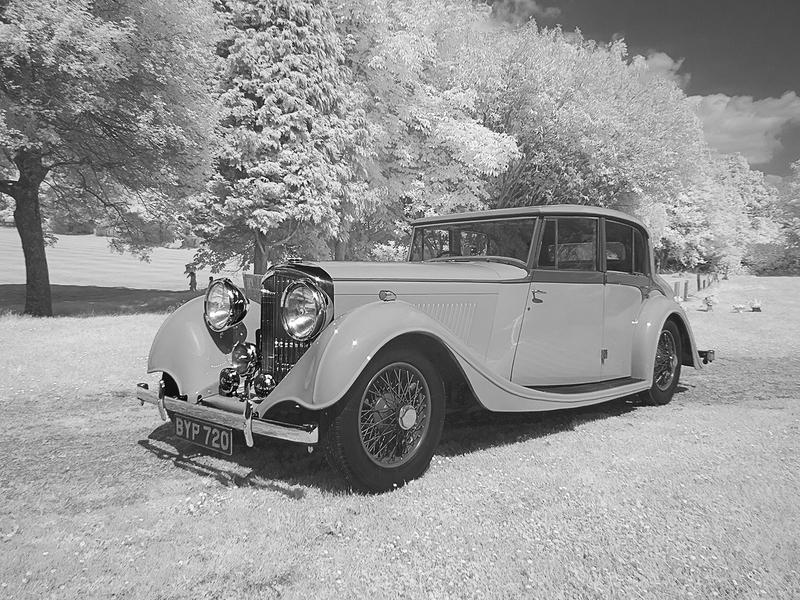 The Derby was the first new Bentley model following Rolls-Royce’s acquisition of the Bentley brand in 1931 and was the first to be built at the Derby plant, previous Bentleys having been built at the Cricklewood plant. Bentley sold only the drivable bare rolling chassis with engine and gearbox, scuttle and radiator, ready for coachbuilders to construct on it a body to the buyer’s requirements. Many distributors ordered their preferred bodies as showroom stock to enable them to stock finished cars ready for immediate sale. A print of this image is now affixed to the ceiling of the dental practice for patients to admire whilst ‘in the chair’.